The hot days just keep coming lately.don’t they? The Summer is just around the corner. 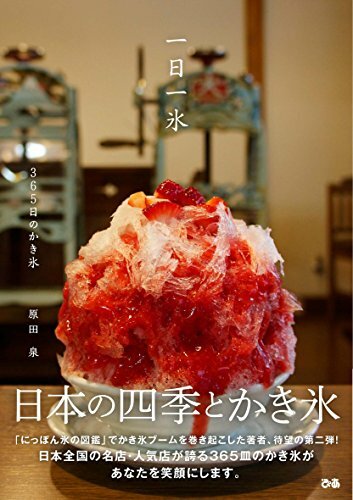 “Kakigo-ri” is a Japanese shaved ice flavored with syrup and a sweetener. It is a very popular food which is a true symbol of summer. Although the history went back till the Heian period, it was the very noble food which only the limited persons, such as an aristocrat, can eat those days. Now, it is eaten by the spread of an electric refrigerator, ice slicers, etc. at various places. These days, there is also many “Kakigo-ri” specialty store, and it carries out handmade syrup or various arrangements that such as putting raw fruit by each store. 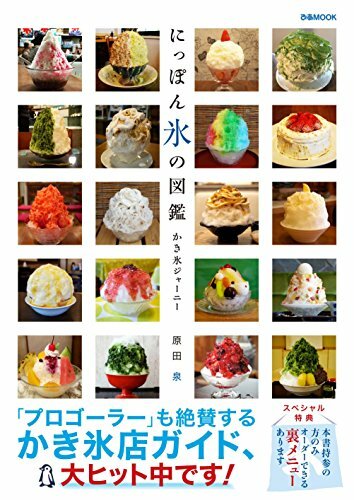 Also in vogue to be between “Kakigori” shop tour in order to enjoy the cool between the Japanese people. Apparently they are called “Kakigorer”means a”shaved ice freak”,who loves shaved ice and gets so into it. Therefore, the pictorial or guide book for “Kakigorer” are published. I have also carried out the other day in order to look for summer to a “Kakigo-ri” shop. It is a white house round which an ivy twines. Inside of a shop is a calm atmosphere…. Don’t forget to see a top, either! As for the lighting cover, the “Kakigo-ri” cup is used. It is a unique idea! Strawberry milk,Earl Grey, Kinako-mochi,Kiwi,Ujimaccha azuki,Rum raisins,,,,and so on. In This store,The syrup is homemade that artificial color and aromatic favor free by storekeeper who thinks that they are eaten in comfort by both adults and children. Since it makes one by one after receiving an order, it takes time…..
Look for your favorite Kakigo-ri ice store! Why do Japanese so love dumplings? Gyoza Festival in Yokohama!